Join us for a summer of fun and learning! 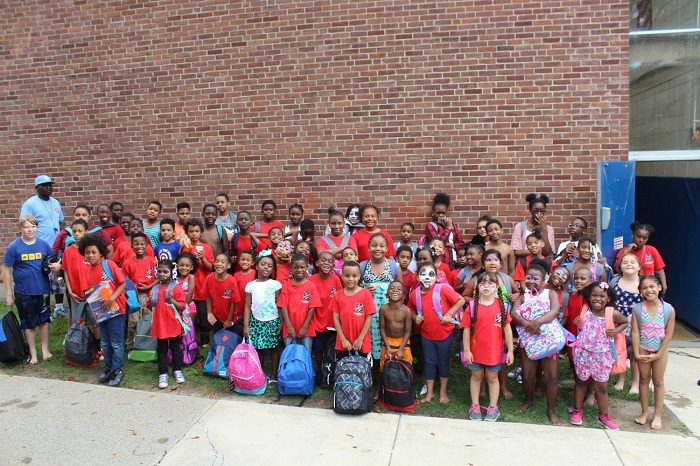 The Salvation Army provides inner-city youth with a summertime opportunity to attend our Summer Day Camp. This nine-week program is for children ages 5-12. The camp provides children with educational classes in science, math, and geography, along with recreational sports, field trips, guest speakers, dance, crafts, and more. Campers are able to enjoy their summer in a safe, constructive, healthy, and nurturing social setting with well trained counselors, music instructors, and certified athletic trainers. Your child will play, laugh, discover, compete, share, build, and grow. Reserve your spot today! Camp is limited to 100 children.